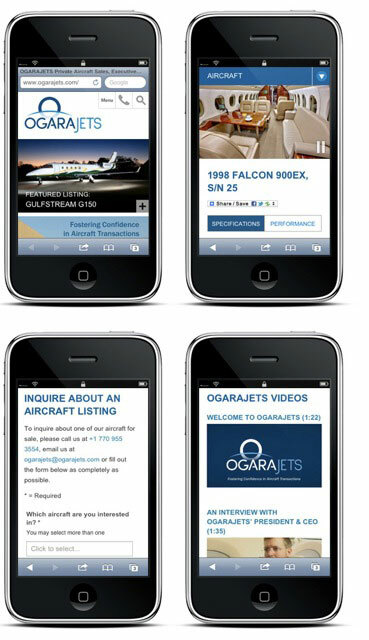 The Creative Alliance was privileged recently to work with OGARAJETS, a leading aircraft brokerage and sales firm based in Atlanta, on a comprehensive rebranding effort. Co-founded by Air Force veteran John Foster in 1980, OGARAJETS has grown in its second generation as a family business to become one of the nation’s leaders in private business jet sales. The re-branding effort was needed to reflect the company’s dynamic new vision for its future, while remaining true to its historical commitment to serving its clients with integrity and trust. TCA worked together with the company’s management team in the reformulation of its name, changing it from O’Gara Aviation Company, to OGARAJETS. TCA also designed the company’s new logo and brand standards. 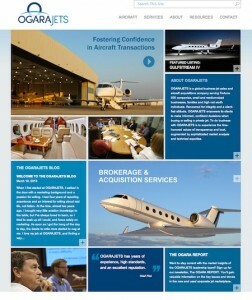 The entirely new, expanded website, OGARAJETS.com, features the company’s aircraft listed for sale, as well as information about the company and its competitive advantages to buyers and sellers of pre-owned business jets. Videos are featured prominently throughout the site. The website was optimized for mobile users, leveraging responsive web design (RWD). “The site is easy to use on mobile devices such as smartphones and tablets,” said Jodee Goodwin, TCA’s creative services manager. “The content is adjusted on the fly based on the device that is accessing the site. It is easy to navigate through the site, view aircraft listings, inquire about an aircraft and view the site’s many videos using a smartphone or tablet. Additionally, forms have been converted to one column with larger fields that are easy to fill out. Last Post: How Do You Perceive Yourself?